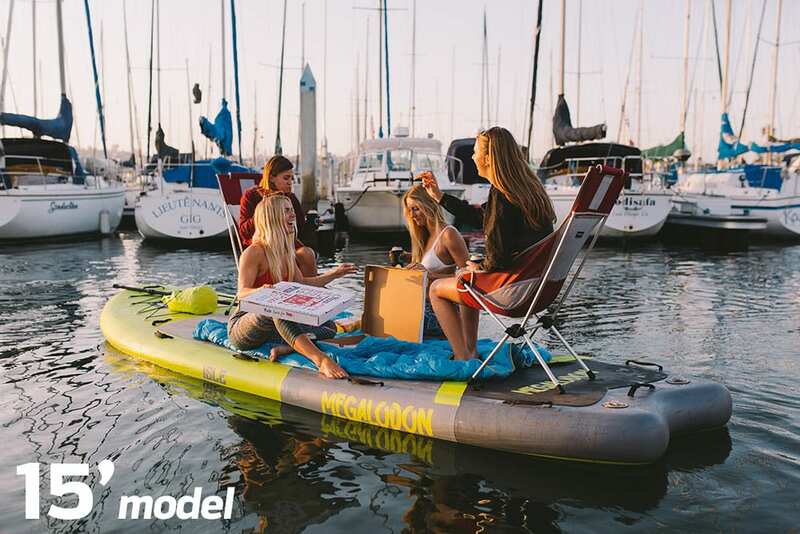 Never paddle by yourself again; the new supersized inflatable standup paddle boards take paddle boarding in a group to a whole new level! 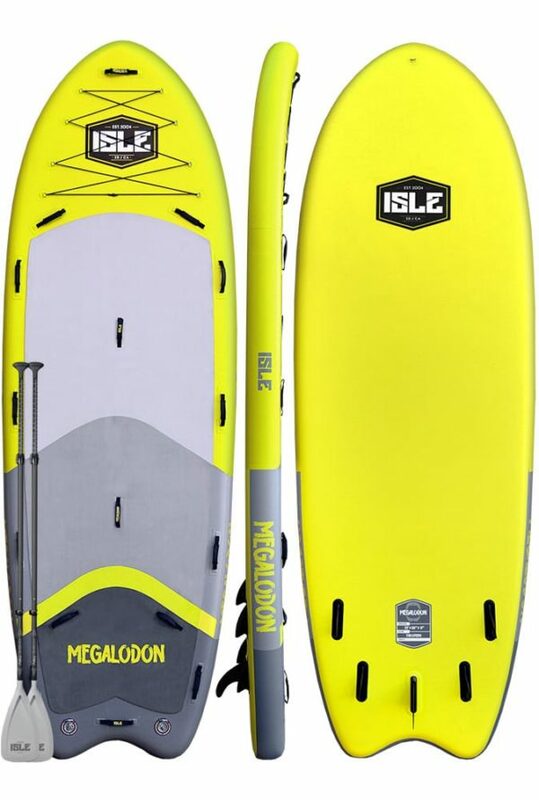 ISLE Megalodon Multi Person Inflatable SUP Boards are the largest and most stable multi person inflatable paddle boards we offer. Take it on the lake, bay or even the surf if you dare and experience the fun of paddling together with your crew in a way you never dreamed possible. 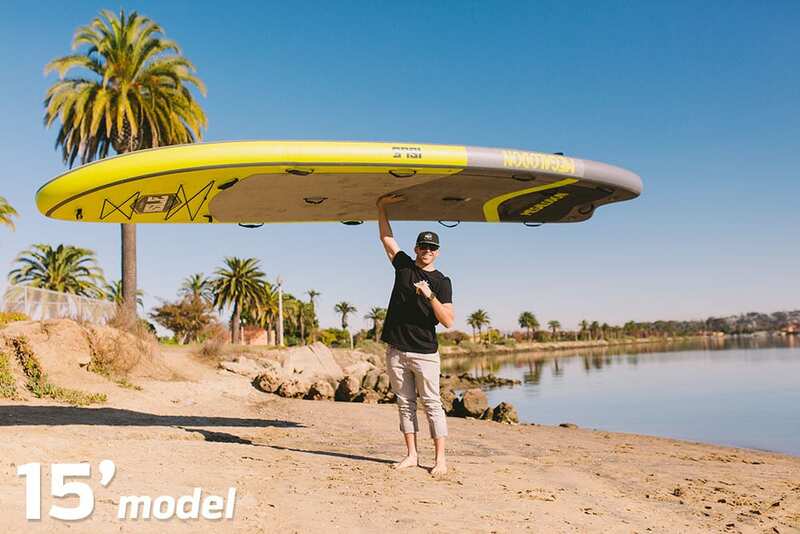 With enough area and volume, the 15’ easily supports 5-7 riders while the 12’ is perfect for 2-3 paddlers at the same time. 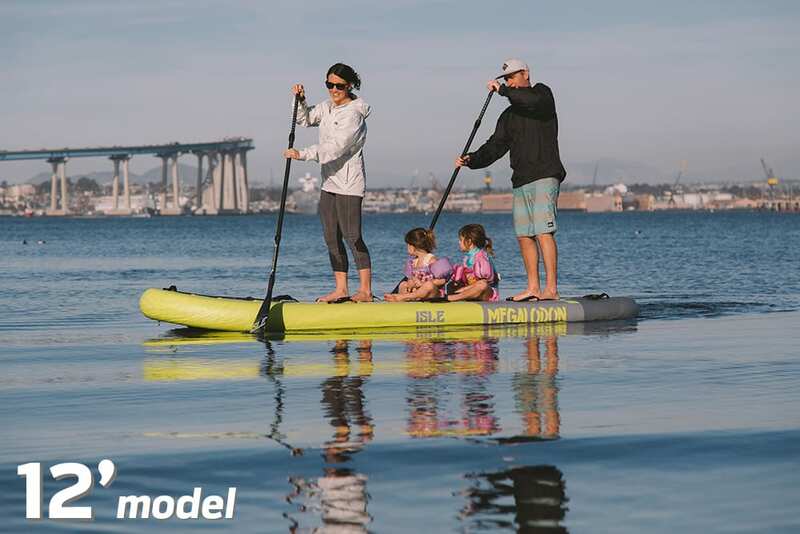 This big SUP offers high performance for both flat water and small waves so you can pile on all your friends. These inflatable SUPs are also great for kids! We’ve strategically placed 16 neoprene padded grab handles for easy group transport. Constructed with military grade outer skin you won’t have to worry about dings or scratches as the board is forgiving when bounced off rocks, a roof rack or any hard surface. Despite its huge size, its specially designed to be lightweight and maneuverable; the 12’ can definitely be carried by one person while the 15’ model will only need two people. 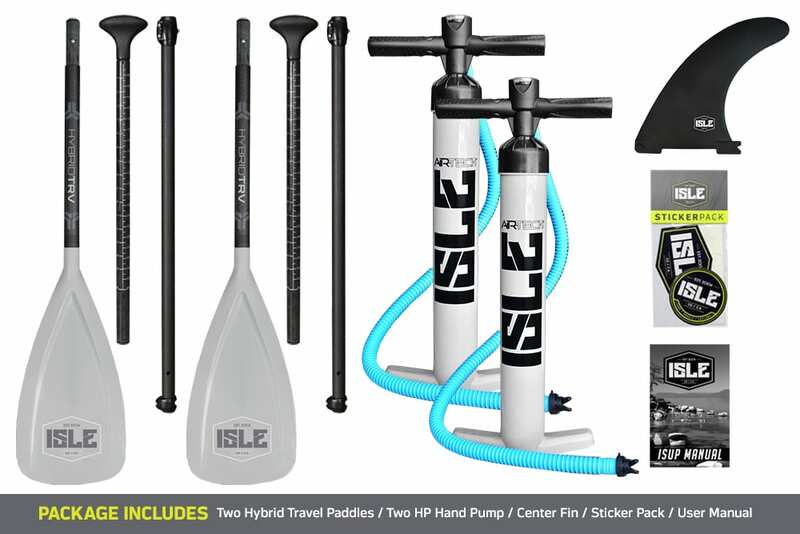 The Megalodon Paddle Board package includes a hand pump to easily inflate your board, a single fin and 2 paddles. Get your multi person paddle board today!